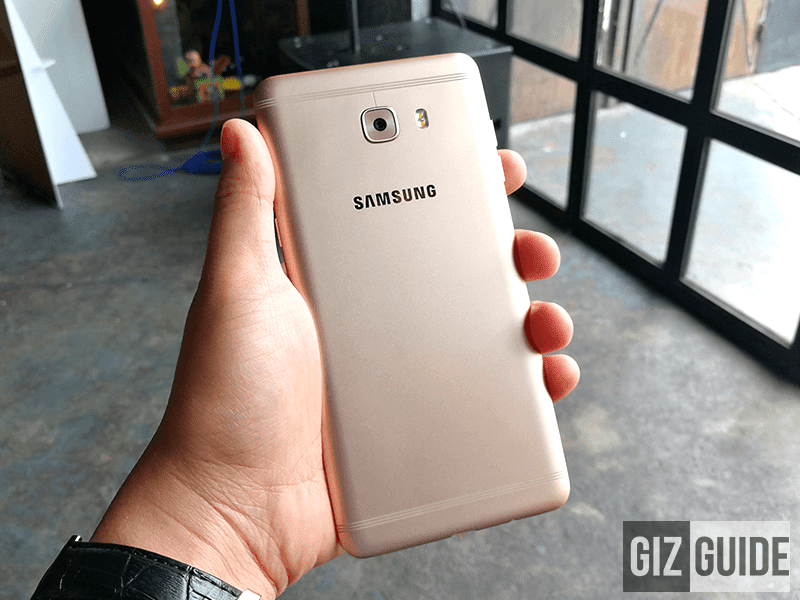 Samsung Galaxy C9 Pro With 6 GB RAM Is Priced At PHP 27990! Home / mobile / news / samsung / Samsung Galaxy C9 Pro With 6 GB RAM Is Priced At PHP 27990! 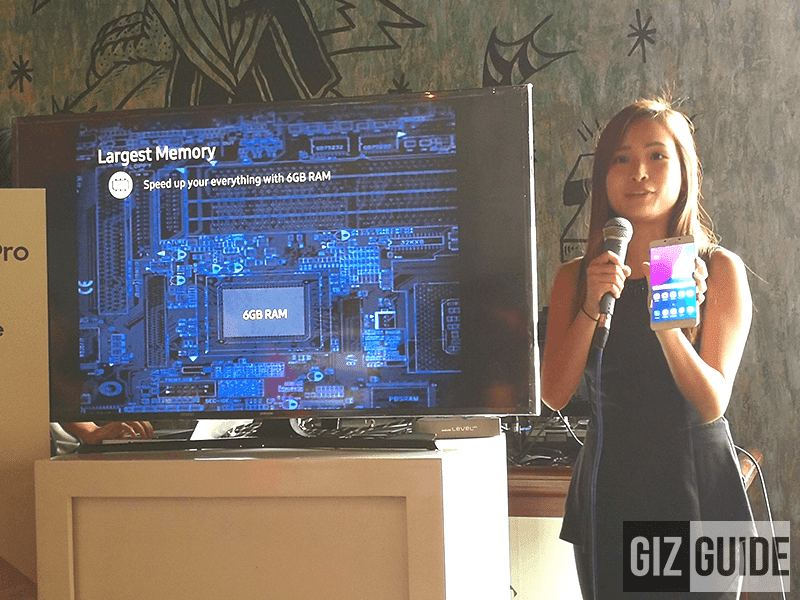 Today, Samsung has finally made the Galaxy C9 Pro official in the Philippines, the company's very first Android smartphone with whopping 6 GB of RAM! It's a phablet designed to run most of the heavy apps with ease, immersive entertainment, and endless multitasking. Samsung Galaxy C9 Pro now in PH! Specs-wise, the Samsung Galaxy C9 Pro has most of the right tools to be a great upper-midrange handset. It's equipped with a 6 inch FHD Super AMOLED panel w/ 2.5D curved glass. Inside, a mobile gaming grade 1.95 GHz 64 Bit Snapdragon 653 octa core processor paired w/ Adreno 510 graphics is there. The device is also loaded with 64 GB of expandable storage and large 4,000 mAh of fast charging battery. On the camera part, it reminds us of the Galaxy A5 / A7 (2017) as it loads with a pair of 16 MP f/1.9 lenses at the back and in front. Completing the specs, the Galaxy C9 Pro has WiFi, 3G, Bluetooth 4.2, LTE, NFC, GPS, A GPS, GLONASS, and dual SIM (hybrid). It even has a fingerprint scanner in front and Cirrus Logic HiFi audio chip. It boots with Android 6.0.1 Marshmallow operating system w/ TouchWiz UI on top. 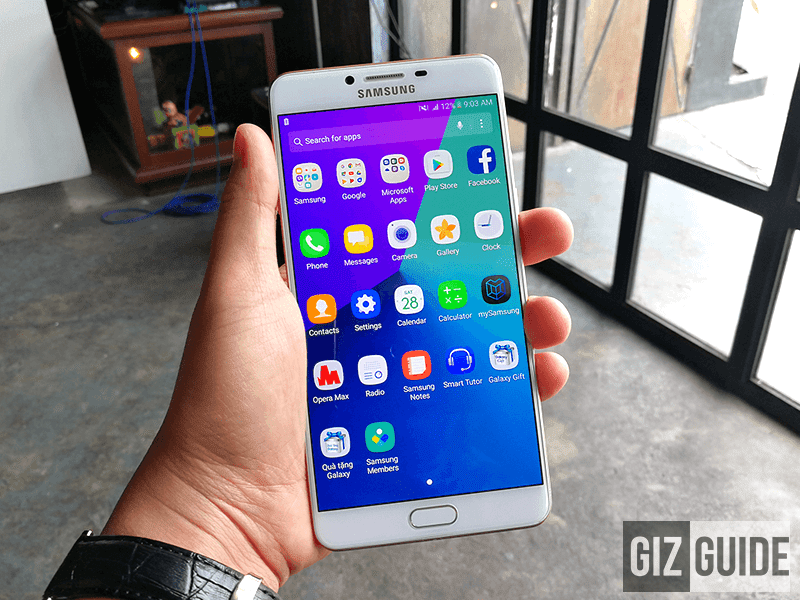 See also: Samsung Galaxy C9 Pro: First Camera Samples! The Samsung Galaxy C9 Pro will be available starting April 22, 2017 at all Samsung authorized resellers nationwide and Lazada Philippines for the price of PHP 27,990. It'll have a free Level U Pro Bluetooth earphones worth PHP 3,099.